In Chennai sky condition likely to be light rain showers. Maximum and minimum temperature likely to be around 31ºC and 27ºC respectively. 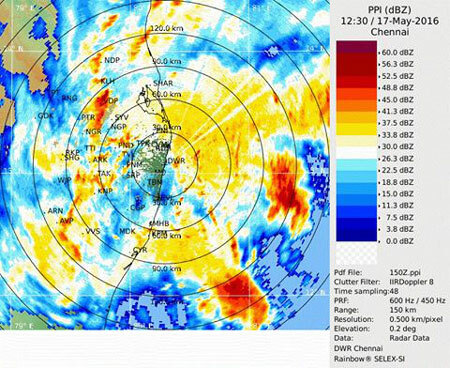 The rains are widespread across Chennai with ECR belt and Chennai city getting heavy rains. The Deep Depression is close to Chennai coast, the area around the centre has got very intense convection, soon this will intensify into Cyclonic Storm (if it becomes it will be named Roanu) and move away from chennai coast. 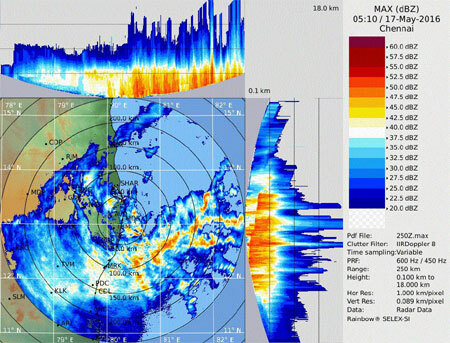 Action to start in Chennai soon as the bands NE of Chennai is expected to fall over Chennai, this will keep on coming. 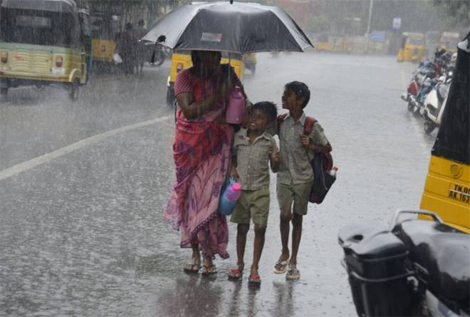 Monday night and Tuesday morning saw heavy rain in Chennai and parts of northern Tamil Nadu. The well-marked low pressure area over Sri Lanka and adjoining Gulf of Mannar has intensified into a depression. In Chennai sky condition likely to be partly cloudy. Maximum and minimum temperature likely to be around 31ºC and 26ºC respectively. Watch out, this spell may last a while and will be heavy. Please stay at indoors. The well marked low pressure area over southwest Bay of Bengal and adjoining Sri Lanka moved slightly northwestwards and lay over Sri Lanka and adjoining areas of Gulf of Mannar and southwest Bay of Bengal . Well marked low pressure area over South West Bay of Bengal and adjoining Sri Lanka persists. In Chennai sky condition likely to be Partly Cloudy. Maximum and minimum temperature likely to be around 34ºC and 27ºC respectively.